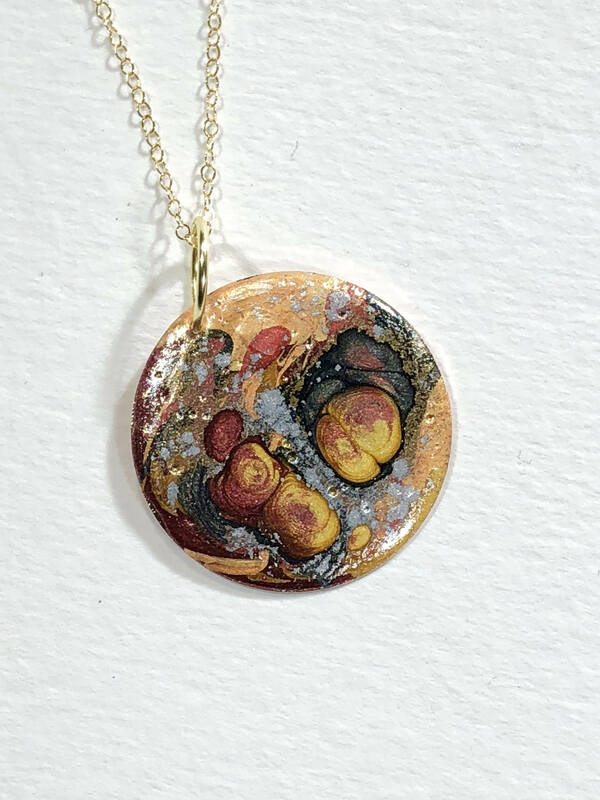 SJC10153 - Handmade round copper enamel painted (black/orange/red/gold/silver) pendant abstract necklace with gold filled chain. 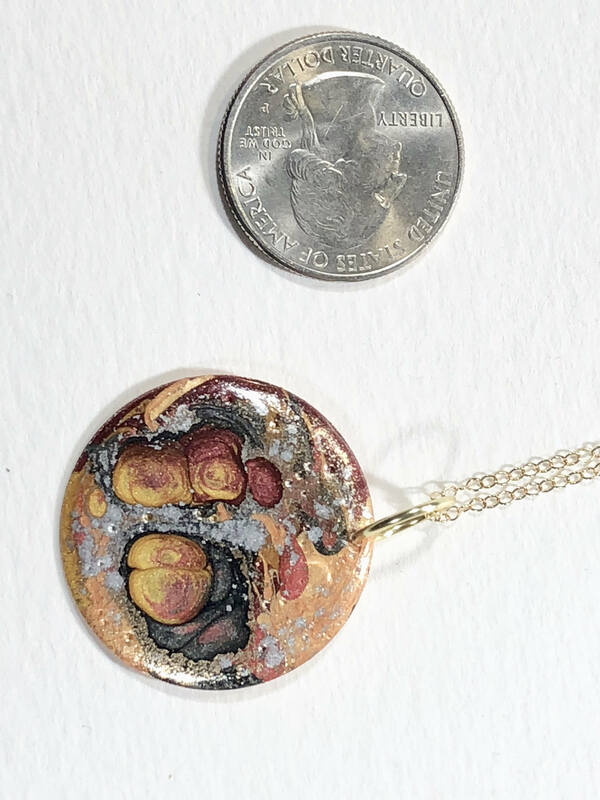 Handmade necklace with abstract design round copper enamel painted (black/orange/red/gold/silver) pendant with gold filled chain. 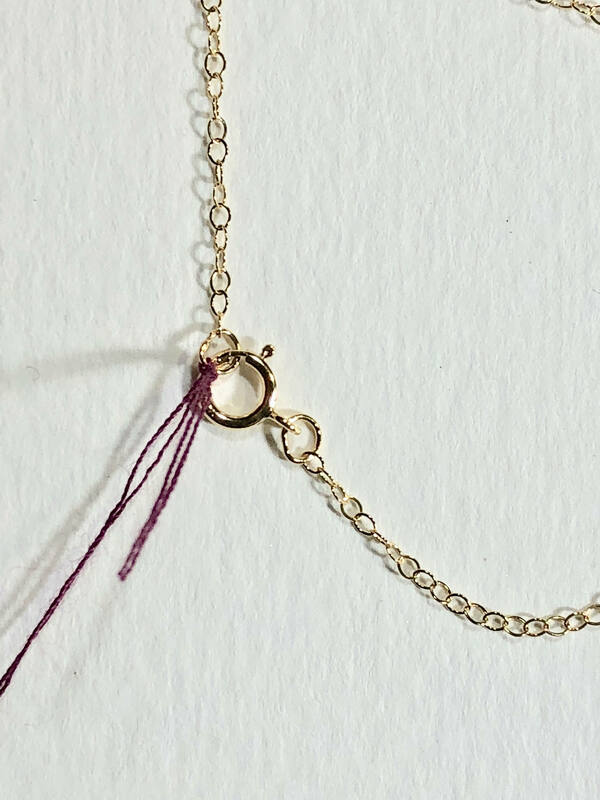 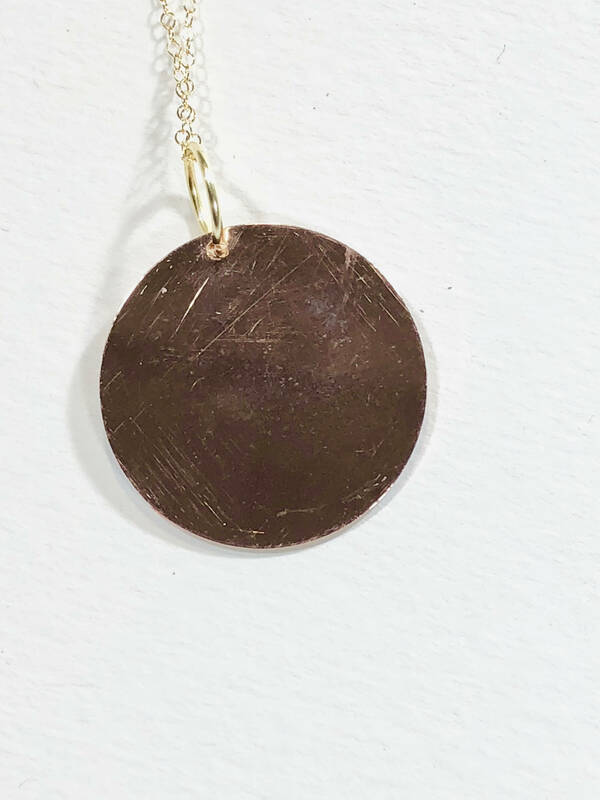 Materials: Pebeo moon or prism enamel paints, 14K gold filled chain, copper disc support.